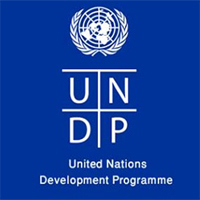 Home JOBS TANZANIA Internship Opportunities at UNDP - Tanzania | Deadline May 4, 2018. Internship Opportunities at UNDP - Tanzania | Deadline May 4, 2018. Please submit a current CV and cover letter re. your motivation for the internship and ability to meet selection criteria and availability, as well as a short 1-3 page writing, media and/or design sample (blog post, news article, poster, video, etc.) to [email protected] by May 4, 2018. Note that only applicants selected for an interview will be contacted.